The chairman of the California stem cell agency, Robert Klein, likes to point out that the tiny staff at the $3 billion enterprise works long hours to deliver the goods for its directors and the hundreds of researchers and others who enjoy the state largess. "This morning, it was two in the morning, they were still responding to e-mails from me, so you have to say there's something very special about this group of people." What Klein and top CIRM management do not mention is the hidden cost of the midnight oil. What this kind of pace means is that people put off taking legitimate vacations and rack up uncompensated time off, which must be paid for at some point. According to its own annual audit, CIRM owes $370,067 to its employees for “unused compensated leave.” That includes vacations that have not been taken, “annual leave” and compensatory time off for those long hours. Already the agency has paid out $203,022 between 2006 and 2008 to 22 departing employees, according to state figures compiled by California Watch. The CIRM staff, which now numbers in the mid-40s, indeed deserves considerable praise for its diligence. But the reasons for the long hours and resultant stressed staff – not to mention costs down the road – are not so deserving of praise. One can begin with Prop. 71, which is a 10,000-word tribute to micro-management, and immutable micro-management at that. Written by Klein and several other people, it imposed the 50-employee cap that is now deemed by Trounson and others to be endangering the quality of the work at the organization. CIRM wants the cap removed, but that will require an unlikely feat – agreement of 70 percent of both houses of the legislature and the governor. CIRM's top leadership also recently indicated that it would oppose the only legislation to eliminate the cap. Big run-ups in unused time off also reflect an organization's inability to perform routine tasks routinely. When the staff's energy is often consumed by last minute and late hour scurrying-about, it leaves little room to deal with genuine emergencies or allow time for thoughtful analysis. In the case of CIRM, where careful thinking should be valued, it has prevented its science officers and others from staying in the forefront of the stem cell field through attendance at key scientific conferences. CIRM has declared the importance of such efforts and has budgeted generously for them. But much of the funding remains unused. Some CIRM directors also have worried publicly about staff burn-out. The fact that 22 former employees are on the list of those receiving time-off payments may be evidence for that concern, given that the staff size has probably averaged somewhere in the 30s for the past five years. One can only wonder why more persons were not hired early on. But hiring itself is a time-consuming process, one that CIRM's top executives may have found difficulty in finding time for. The California stem cell agency this week announced its online high school study program, which is aimed at helping to provide workers for the biotech industry. Art Torres, co vice chairman of the stem cell agency, said that California is "a fertile ground for stem cell science," but added that to "realize the full potential of this burgeoning field" requires development of "an educated workforce." In a news release, CIRM said the high school science program provides “a robust source of educational materials with a wide variety of teaching formats and levels of presentation.” Four units were provided on the CIRM Web site. The agency said the program can be taught in a day or fill a week. Another component is in development. The program is tied to legislation that requires the state Department of Education to post on its Web site the model curriculum launched by CIRM. In response to a question, Don Gibbons, chief communications officer for CIRM, said the program cost $45,500 to produce, including the component under development. We also asked about CIRM's outreach to promote use of the program and whether the agency had an email list for all high school science teachers in the state. Directors of the California stem cell agency on March 4 will take their first public look at new legislation aimed at ensuring affordable access to therapies financed by taxpayers, including proposals to improve accountability and openness at the state research effort. Also on the table at the meeting of the directors' Legislative Subcommittee is legislation to create a state board to deal with umbilical cord-blood matters. Already three leaders on the CIRM board, Chairman Robert Klein, vice chairmen Art Torres and Duane Roth, have publicly opposed the affordability and accountability legislation as unnecessary. The CIRM board has successfully resisted every effort over the last few years by lawmakers to make changes in agency operations. However, this year CIRM has declared that it needs to bypass the voter-approved limit on its staff at 50 persons, an action that the legislation would allow. The restriction was written into the law via Prop. 71 by Klein and others along with caps on agency spending. On the surface, removing the cap would seem to require a 70 percent vote of the legislature, also imposed by Prop. 71. But Klein says the agency is considering unspecified alternatives that would not require a vote of the legislature to avoid the restriction. Earlier this month, Sen. Elaine Kontominas Alquist of San Jose, chair of the Senate Health Committee, introduced the accountability legislation (SB1064), declaring that CIRM is “essentially accountable to no one.” Introduction of the measure followed recommendations from a sister state panel to CIRM, calling for increased openness and transparency. The action apparently triggered two harsh newspaper editorials concerning CIRM. "California pioneered the first sibling donor cord blood pilot project, and is a world leader in the more general area of stem cell research and its medical applications through the establishment and funding of the California Institute of Regenerative Medicine (CIRM). This makes California ideally situated to become the leader in harnessing the therapeutic potential of nonhematopoietic cord blood-derived stem and progenitor cells." If you are interested in serving on the board of directors of the $3 billion California stem cell agency, you might want to get your application in early to Gov. Arnold Schwarzenneger. But if you don't work for Cedars of Sinai Medical Center in Los Angeles, you may be out of luck. It appears that Ricardo Azziz, one of the governor's appointees, will soon be leaving for the Peach State. Azziz holds what might be called the Cedars seat on the CIRM board. Azziz (see photo) is the only finalist for the presidency of the Medical College of Georgia, according to media reports this week in the Augusta Chronicle and on Channel 12 in Georgia. 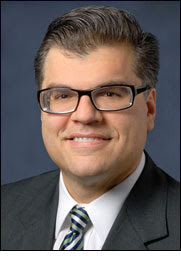 In addition to serving on the 29-member CIRM board, Azziz is currently chairman of the Department of Obstetrics and Gynecology at Cedars-Sinai Medical Center in Los Angeles and serves as professor at the David Geffen School of Medicine at UCLA and vice chair of the Department of Obstetrics and Gynecology at UCLA. Azziz has served on the CIRM board since September 2006. He replaced Keith Black, director of the neurosurgery at Cedars. Cedars has received $5.7 million in grants from CIRM, out of the $1 billion the agency has given away in less than three years. "And that's really the best time when a leader can step in and add his or her feeling, add his or her flavor, to the direction of the institution. So I think it is as good a time as any and probably better than most." Sort of the same situation that Obama had when he became president and what the next governor of California will have as well. Three top leaders of the California stem cell agency today said new legislation aimed at making it more accountable and ensuring affordable access to taxpayer-funded therapies would instead jeopardize the agency's accomplishments. In a word, they said, the measure is unnecessary. The opposition letter was signed by CIRM Chairman Robert Klein, a Palo Alto real estate investment banker, and vice chairmen Duane Roth, a San Diego area businessman, and Art Torres, formerly head of the state Democratic Party and retired legislator. But they said the board is “actively exploring other alternatives to address this and remains committed to the 6 percent cap on administrative expenses.” The letter did not elaborate on those alternatives and none have been discussed publicly. The cap was imposed by voters when they approved Prop. 71, which Klein often says he wrote. The letter said that CIRM is already engaged in some of the activities that the legislation would mandate. That includes planning for changes at the top in December when Klein says he is going to leave, as well as planning for the time when the agency's remaining $2 billion will run out. So far, CIRM has handed out $1 billion in less than three years. The money comes from cash that the state borrows via bonds and flows directly to CIRM, untouched by the normal controls of the governor or legislature. The letter said that the CIRM directors' Legislative Subcommittee, chaired by Klein and including Roth and Torres, will meet soon to consider Alquist's legislation, SB1064. The 10-member panel will make recommendations to the full board, which could take a position as early as its March 11 meeting in Sacramento. Interested parties and members of the public will have a chance to personally address the board then. Individuals can also write or email the members of the board concerning the legislation. A leading California state senator said today that the state's $3 billion stem cell agency is “essentially accountable to no one” and declared that more accountability and transparency are needed. Sen. Elaine Kontominas Alquist, D-San Jose and chair of the Senate Health Committee, made the statement in a news release touting her legislation to help ensure that Californians receive a “fair return” on their investment, which will total $6 billion with interest. “I was an early supporter of California’s groundbreaking stem cell initiative, and know that our public investment on behalf of the State of California will lead to new frontiers of treatment to heal people with chronic diseases. “If a cure or life-saving medicine is discovered using taxpayer dollars, we must be sure that all Californians benefit from that research. Californians are the shareholders of this venture. In this economic environment, the Legislature has a duty to ensure that every public dollar is accounted for and spent wisely." Ensuring Californians have affordable access to drugs developed by Prop 71 funds. Ensuring intellectual property revenue made from Prop 71 funded grants and loans return to the state’s General Fund. Requiring the Citizen’s Financial Accountability Oversight Committee and the Controller’s Office to conduct performance audits. We asked CIRM on Wednesday for a response to the legislation, but nothing has been forthcoming. We will carry the agency's comments when we receive them. Just a few weeks after a key state panel recommended more accountability and transparency at the $3 billion California stem cell agency, a leading California lawmaker has proposed far-reaching changes in the five-year-old organization. The measure – SB1064 by Sen. Elaine Alquist, D-San Jose – would require performance audits and thorough financial and leadership transition planning at CIRM. It would alter the selection of CIRM's top leadership, ban pre-judging grant proposals and funnel any royalty revenue away from CIRM. The proposal may well avoid the dismal fate of past legislative efforts involving CIRM. Gov. Arnold Schwarzenegger vetoed those bills after stiff opposition from the agency. However, the measure by Alquist(left), chair of the Senate Health Committee, contains a large carrot for CIRM: removal of the 50-person cap on the size of the organization. The cap was written into Prop. 71 in an effort to make it more appealing to voters. But now CIRM says the restriction could endanger the quality of work at the agency and wants it changed. CIRM had no immediate reaction to the legislation. It said a formal response was being prepared and would be available later today or tomorrow. Alquist's office also had no immediate statement available. The measure embodies many of the recommendations of the Little Hoover Commission, the state's good government agency. The Citizens Financial Accountability and Oversight Committee (CFAOC), a sister to CIRM, last month recommended adoption of some of the Hoover suggestions, declaring that the agency needed to be more open to the public. (Both CIRM and the CFAOC were created by Prop. 71 in 2004). The CFAOC action also appeared to have triggered two newspaper editorials and a column in the Los Angeles Times deploring CIRM's lack of transparency and accountability. Require grant recipients and their licensees to submit to CIRM a plan to assure affordable access to therapies developed using CIRM funding. Require that all revenues resulting from CIRM's intellectual policy agreements go into the state's general coffers instead of possibly into CIRM's treasury. Require the state controller, the state's top fiscal officer, to commission annual, independent performance audits of CIRM at the agency's expense. Change the duties of the chair and president of CIRM, specifying that the chair does not engage in day-to-day management. The CIRM board would be given authority to decide the chair's responsibilities. Remove nomination of candidates for chair from statewide constitutional officers, such as the governor. Reduce the terms of the CIRM chair and vice chair from six to four years. Require all grant applications to go through CIRM's grant review group, which would end a pre-application triage that CIRM has been using. Require that meeting minutes include voting records of each member of the CIRM board. The Alquist bill is likely to be changed as it wends its way through the legislature. It requires a 70 percent vote of both houses, a rare and difficult requirement for any piece of legislation. With little notice, the California stem cell agency is moving quietly to make significant changes that are likely to affect hundreds of scientists seeking a share in the $3 billion that the agency is handing out. The matter comes under the innocuous heading of “submitting supplemental materials.” But just how successfully a competitor exploits the new procedures could have a major impact on whether his or her grant wins approval from the de facto decision makers, the CIRM grant review group. The changes are scheduled to come up next Monday at a meeting in San Francisco of the grant group, the sessions of which are almost never attended by members of the public. The reason for the lack of attendance is that the sessions are devoted almost entirely to closed-door deliberations of applications. However, in the case of the supplemental material matter, by law it must be considered in an open, public session. Interested parties may comment and make suggestions for changes. Although the agenda for the meeting makes no mention of the opportunity, any person or business can also send comments to the grants group in advance of the meeting and ask them to be considered. The one-page justification for the grant application change and its provisions appears to have been posted last Thursday night (Feb. 11, 2010) on the CIRM Web site. However, no notice of the specific meeting or the proposed changes is provided on the home page of the CIRM Web site. That's in keeping with the standard practice of the agency, which tucks away notices on its Web site of its public meetings, even when they involve hundreds of millions of dollars in taxpayer funds. The entire CIRM proposal can be found here. California's unprecedented, $3 billion stem cell research program is widely perceived as a 10-year effort, but, like much conventional wisdom, that view is simply wrong. The agency, created as the result of a 2004 political campaign, theoretically could continue to function for eons. The only relatively immediate, “life-and-death” question facing CIRM involves the cash needed to continue its grant and loan programs, which have already pumped out $1 billion to California researchers. The fiscal hitch comes from Prop. 71, the initiative that spawned the California Institute for Regenerative Medicine. The measure provided for only $3 billion in state bond funding. When that borrowed money runs out, CIRM will have to find more -- if it wants to continue operations. But CIRM does not, in fact, face a mandatory “sunset” provision that will bring down the curtain on its offices near the San Francisco Giants baseball park. Mainstream news organizations have continued, nontheless, to describe the state's stem cell research as a 10-year effort, including at least two reports in recent months. The error seems to stem from the 2004 campaign, when it was in the interest of Prop. 71 supporters to allow voters to believe that they were not voting to create a big-bucks bureaucracy that would exist in perpetuity. The campaign was run by Bob Klein, who wrote much of the ballot measure and who is now chairman of CIRM. The campaign Web site has now vanished into cyberspace and its domain name is for sale. But the campaign document can be found on the Web site of the world's largest organization of stem cell researchers, the International Society for Stem Cell Research. The society reports to this day that California is engaged in a 10-year program. Last week, we discussed CIRM's life expectancy with James Harrison, the agency's outside attorney, at a meeting of the CIRM board at the Hotel Whitcomb in San Francisco. He assured us that there is no “sunset” looming for CIRM. "Numerous (media) interviews were given to explain how Prop. 71 would adjust for delay by extending the effective time frame. Similarly, many interviews focused on the ability to reduce funding in a particular years if the scientific quality dropped in that year, with the funds saved to be used in later years, perhaps adding a year or two to the program term." The pamphlet, however, came during both a presidential election year and a California election that was loaded with ballot measures. Both voters and reporters paid scant attention to it. As far as we can tell, that is the only reference in the 10,000-word measure to a 10-year limit. So what does all this mean? The intent language and the campaign's action/inaction could encourage a cantankerous attorney to make legal mischief by arguing in court that CIRM must wind up its affairs within the decade specified. We suspect such an effort would fail, but it would waste time and money at CIRM. More importantly, the matter touches on the agency's credibility, which is likely to be examined as part of its bid for future funding. CIRM has already embarked on a course (creation of a communications task force and its disease team grants) to gin up support for more cash. If CIRM's credibility is suspect, some potential benefactors – be they lawmakers or philanthropists – may view the agency's new pitch with skepticism. Klein already has been labeled as less than straightforward in connection with campaign claims. In one case involving allegations of deceit, the San Francisco Chronicle reported that Klein failed to disclose during the campaign negative financial details to the tune of $1 billion. Klein did not respond publicly to the 2005 article. "...(It) will be necessary to ask whether, after committing $6 billion, counting interest on taxpayer money, CIRM deserves more. The question will be: Given California's other challenges, can it afford more money for stem cell research? I don't know what the answer will be then. If the choice were being made today, my answer would be definitely not." Here is the text of the statement to the California Stem Cell Report from James Harrison of Remcho, Johansen & Purcell of San Leandro, Ca., CIRM's outside counsel, on the life expectancy of the stem cell agency. "We wrote Prop. 71 to protect the voters' mandate against ideologically motivated litigation that could deny Californians the opportunity to have ten full years of medical and scientific advances for therapies. With ten full years of funding, the public will have an opportunity to evaluate CIRM's performance and the value of Prop. 71 to California's patients and the health care budget. At the end of this period, CIRM expects to be able to demonstrate an extremely persuasive performance. "To date, CIRM has committed approximately one billion and expects to commit the remainder over the course of the next 7 years, which is consistent with the ten year time frame, as adjusted by the delay caused by the litigation. Of course, if there are other delays, such as federal regulatory roadblocks or other events beyond CIRM's control, this time frame could be extended. "The loan program could also extend this time frame. To extent that CIRM recovers money from the loan program, the funds will be used to make new grants and loans to help successful proofs of concept reach patients, thereby providing the voters with more research funding than they've paid for. "Throughout the campaign, the proponents of Prop. 71 explained that it was their intent for the funds to be committed over a period of ten years to permit the voters to evaluate the agency's performance, but they noted that if there were delays, the measure was designed to permit ten full years of funding as a basis for evaluating the value of Prop. 71. "Numerous interviews were given to explain how Prop. 71 would adjust for delay by extending the effective time frame. Similarly, many interviews focused on the ability to reduce funding in a particular years if the scientific quality dropped in that year, with the funds saved to be used in later years, perhaps adding a year or two to the program term." An academic executive who was a key figure in developing UC San Francisco's first-ever strategic plan is scheduled to become the newest member of the board of directors of the $3 billion California stem cell agency. He is A. Eugene Washington, who became dean of the UCLA School of Medicine this month. Prior to assuming the job, he was executive vice chancellor, provost and professor of gynecology, epidemiology and health policy at UCSF. In 2005, he co-chaired the development of UCSF's first campus-wide strategic plan. As executive vice chancellor, he oversaw areas dealing with conflicts of interest, industry contracting and information technology in the UCSF office of research. That experience may serve him well given CIRM's enormous reliance on outside contracting and its ongoing issues with its grant management system. Another negative newspaper editorial popped up this week concerning the California stem cell agency. The piece called for more accountability and openness on the part of $3 billion research effort. And, the editorial said, if the agency goes to court to fight reforms, lawmakers should place the proposals on a statewide ballot. The article in the Riverside Press Enterprise cited recommendations from the Little Hoover Commission, the state's good government agency, and the Citizens Financial Accountability and Oversight Committee, a sister agency to CIRM. Most recently, the citizens committee last week called for some reforms, a move that triggered a less than favorable column – for CIRM – in the Los Angeles Times, the state's largest paper, and a harsh editorial in the San Diego Union-Tribune. “California's stem cell research agency is not a private fiefdom, but a public entity answerable to taxpayers. Legislators should follow the recommendations of a state watchdog, and impose rules that would bring accountability and openness to an agency spending $3 billion of public money. “How the agency disburses money is largely hidden from public view, as well. The institute only identifies those grant applicants who collect money. But publicizing all the applicants, not just the successful ones, would protect against self-interest or favoritism in funding decisions. Connecticut's stem cell program follows that practice, and so should California's. “The stem cell institute claims that most of those reforms would require a new ballot measure, but that argument is suspect. The measure allows the Legislature to make changes that further the intent of Prop. 71. Steps that provide greater public trust and protect against insider dealing surely further the agency's mission -- not to mention the public interest. SAN FRANCISCO – Directors of the California stem cell agency today heard some good financial news – $55 million worth – that will keep them out woods through the summer of 2011. John Robson, CIRM's vice president for operations, reported that the agency has enough cash on hand to pay for its grants and operations into the first quarter of the 2010-11 fiscal year. Previously, he had predicted that money would run out around June of 2011. Robson explained that much of the additional cash was discovered as a result of closer accounting of the results of a state bond sale in spring 2009. Additional cash became available because of delays in completion of four stem cell labs that are partially funded by CIRM. He also said more accurate financial information is being generated by a new grants management system. CIRM relies on state bonds for its funding. Presumably it will receive another jolt of cash in the next 18 months as the result of additional bond sales. SAN FRANCISCO – Directors of the California stem cell agency tonight approved changes in the terms of its $500 million biotech loan program with little discussion and no dissent. Approved were the guidelines that can be found here. Elona Baum, CIRM general counsel, highlighted some of the changes from the previous loan terms. They included lowering the minimum size of a loan below $3 million under some circumstances, designating the default interest rate as LIBOR plus 2 percent and compounding interest instead of using simple interest. The changes also included new terms for use of warrants as part of the loan process and acceleration of loan payments in the event of a change of control, at CIRM's discretion. Also approved were extensions of loans beyond five years up to 10, with payment of 25 percent of accrued interest and an increased interest rate each year. Loans could be extended beyond 10 years with approval of the directors' Finance Subcommittee. No biotech businesses or members of the public commented on the changes. The loan terms are guidelines. CIRM staff is preparing a final Loan Administration Policy. Put off until March was a proposal for CIRM to begin to fund at least part of clinical trials. No details were available from CIRM. The CIRM board briefly discussed last week's meeting of a key state panel that urged it to be more open, transparent and accountable. Among other things, the Citizens Financial Accountability Oversight Committee recommended that CIRM post online the statements of economic interest and travel expense claims of its board members and top management. Some members of the CIRM board said the committee's recommendations were not based on factual information. The board also discussed a scathing San Diego Union-Tribune editorial this morning and generally expressed a desire to be able to respond quickly to negative articles. Some board members also expressed dismay that they had not been given a copy of the editorial early in the day. Duane Roth, a San Diego businessman and a CIRM director, has written a letter in response to the San Diego paper that he said he expected to see published this week. Biotech executives, researchers and the public can participate in today's meeting of the board of directors of the California stem cell agency at locations in San Francisco, Los Angeles and San Diego. It may be the first time that three such widespread locations have been available around the state for a CIRM board meeting. The sites are the Hotel Whitcomb in San Francisco(where the meeting is based), the Lansing Foundation in Los Angeles and the Salk Institute in La Jolla in the San Diego area. Interested parties can listen in as well on the meeting today and tomorrow via the Internet. However that connection is one-way only. It does not provide for comments from the public. If you are interested in the sites in San Diego and Los Angeles, check in advance with the Lansing Foundation and Salk to be sure that you know more specifically where the teleconference connection is located. The San Diego Union-Tribune today blistered the California stem cell agency in an editorial calling for greater transparency and a "much less blithe attitude about conflicts of interest." "This reeks. It increasingly appears as if the Legislature needs to save CIRM from itself. The institute’s good work does not excuse its machinations." The Union-Tribune, whose circulation area includes one of the nation's hotbeds of biotech, said that it supported Prop. 71, the measure that created the stem cell agency in 2004, and has backed the agency since then . "Nevertheless, a June 2009 report by the Little Hoover Commission, a state watchdog group, made a strong and convincing case that CIRM had fundamental conflict-of-interest problems. Those overseeing CIRM often also won grants from the agency. "Dismayingly, CIRM dismissed the criticism out of hand, which only raised more eyebrows. This is not how a public agency is supposed to act when legitimate ethical concerns are raised by a respected public watchdog. "Now, however, the Legislature has the opportunity to compel CIRM to take these concerns seriously. Institute officials say they are hamstrung by a provision in Proposition 71 that puts a 50-employee limit on CIRM and are asking for a change in state law. "Lawmakers must do so only if the legislation also includes specific provisions requiring much more transparency in how management and grant decisions are made and a much less blithe attitude about conflicts of interest." CIRM today reported another change in what is to be expected concerning alterations in the $500 million biotech loan program at tomorrow's and Thursday's meetings of its board of directors. Los Angeles Times columnist Michael Hiltzik has provided a bit of a filip to his look Monday at the California stem cell agency. A footnote on the sunset comment: The organization itself does not terminate after 10 years. Rather it loses its ability to issue state bonds. "Authorize an average of $295 million per year in bonds over a 10-year period to fund stem cell research and dedicated facilities for scientists at California’s universities and other advanced medical research facilities throughout the state." The California stem cell agency today said its directors would put off until their March meeting a discussion of a proposed foray into financing of clinical trials. CIRM also said that directors would not vote this week on changes in its $500 million biotech loan program. Instead they are expected to act later on the proposal during a special telephonic meeting. Both topics are on the agenda for this week's meeting in San Francisco, which begins on Wednesday and continues on Thursday. Earlier posts (here and here) on the California Stem Cell Report have noted that CIRM had not posted an explanation of or a justification for the loan changes. CIRM also has not laid out just what is being proposed in the clinical trial venture. All of which makes it quite difficult for researchers, biotech businesses and the public to offer any sort of well-considered comment prior to board action. The proposed loan guidelines, however, were posted today, but still missing is an explanation of why they are needed or exactly how the changes departed from the original plan. Also posted today, under the topic of membership of a directors Scientific Issues Subcommittee, was a 12-page report on the prescreening process in use at the agency for some grant rounds. The report included a survey of 117 applicants. “In shifting its focus, the agency is moving to fill a void known as the 'valley of death' -- a point at which projects are typically too commercial to vie for federal funds, yet too risky to entice private investors. Kaplan's piece was more oriented towards the science of stem cells than the column this morning by Michael Hiltzik, also in the Los Angeles Times, which is California's largest newspaper with a readership of roughly of 1 million. Kaplan provided a contrast to Hiltzik, who took a more critical view, focusing on the public policy questions at the agency. Hiltzik's article also was an opinion piece as opposed to Kaplan's article, which was a news feature. “Some scientists who study basic stem cell biology say the new emphasis on clinical trials is premature. They say many fundamental questions about stem cells still need to be answered, and diverting money from basic science means that revolutionary therapies -- still many years away -- will take even longer to materialize. (CIRM President Alan) Trounson acknowledged that the shift has elicited 'a bit of a reaction from scientists' despite the institute's commitment to continue steering millions of dollars to basic biology. But, he said, the investments will have to produce actual therapies 'if we're going to be relevant to the community.'" Not said was the need to provide real results that will help CIRM peddle its story in a few years to raise additional cash -- perhaps from the legislature, perhaps from private sources or both – when its 10-year bonding capacity runs out, possibly in 2017. Also not discussed was the fact that the Prop. 71 campaign was almost entirely based on the need to fund human embryonic stem cell research. It is probably fair to say that the measure that created CIRM would not have passed had not then President Bush already imposed restrictions on the federal funding of hESC research. Kaplan's article led with an anecdote involving research by Karen Aboody of the City of Hope, who has an $18 million grant from CIRM. Michael Friedman, the CEO of the City Hope, serves on the CIRM board of directors. His institution has received $37 million from CIRM. Also mentioned was Martin Pera of USC, a former colleague of Trounson's in Australia. Pera has received $6.4 million from CIRM. The dean of the USC medical school, Carmen Puliafito, serves on the CIRM board of directors. USC has received $71 million from CIRM. For unknown reasons, our “recent comment” function to the left on this page has ceased to work properly. Consequently, some recent comments have not appeared. We are attempting to fix the problem. Meanwhile, here are some comments that have been posted in the last few days. "The 'disease in a dish' proposal combined with funding clinical trials seems like CIRM is trying to be everything to everyone. "They will have to take care that the 'tools' aren't merely grantsmanship for more years of basic research funding going nowhere fast; a nice new grant stream for the universities, not so nice expenditure for the taxpayers and patients hoping for CIRM to help meet their medical needs. " "The meetings are on Wednesday and Thursday not Tuesday and Wednesday like your article states. Great blog and reporting I check things out at least once a week. "Brad -- Thanks for letting us know. We have posted a correction." "I've been following up on your site quite regularly. My son plans to go for stem cell therapy early next year. I am worried that can CIRM's outburst have an effect on the therapy as a whole." The California stem cell agency, which has “self-righteously” opposed better public oversight of its activities, should be altered to create a research program that “exemplifies not only good science, but good government,” a Pulitzer Prize-winning columnist said today in the Los Angeles Times. Hiltzik, whose piece was the 10th most viewed article on the Times Web site early this morning, first wrote about the agency during the political campaign that created it in 2004. His latest article came after he attended last week's session of a key state panel that unanimously called for more openness and accountability from CIRM. The panel, the Citizens Financial Accountability Oversight Committee, is chaired by state Controller John Chiang, who is the state's top fiscal officer. Hiltzik said that the $3 billion agency came under withering fire at the meeting of the committee, which is part of Prop. 71, the same measure that created the stem cell agency. “Lipson objected to CIRM's practice of keeping the identities of grant applicants secret until and unless they win a grant. He thinks that without full transparency, it's impossible to know whether the scientific peer reviewers or the board have shown undue favoritism to the victors. Hiltzik, the author of three nonfiction books and winner of one of the top prizes in financial journalism, also discussed CIRM's new-found desire to change one provision of Prop. 71: the 50-person cap on the size of its staff. “The good news for taxpayers is that the program's request for more staff could open the door for our elected representatives to finally insist on some jurisdiction over the spending of our $3 billion -- $6 billion including interest on the state bonds with which the money is raised. The key questions are these: Is it being spent appropriately, and is it being spent without conflicts of interest? On both issues, there's reason for doubt. Unfortunately, the program has managed to fend off every effort by elected officials to weigh in. “There's no question that CIRM has funded important work and bolstered the state's research profile. And there's no reason to doubt that CIRM needs more staff scientists to make sure grant recipients are spending our money properly, especially since the program is about to start doling out loans to commercial companies, not just grants to academics. “But it's ridiculous for CIRM to maintain that increased legislative oversight and a more compact and objective board are inimical to its purpose of fostering stem cell research in California. CIRM mouthpieces love to claim that the 'voters' intent' should be honored by keeping the program rigorously free of political oversight -- but then the voters' intent was also to give it 50 staff members, and not a soul more. With only two days remaining before this week's meeting of the board of directors of the California stem cell agency, still missing publicly are any details on proposals that appear to involve hundreds of millions of dollars in taxpayer funds. The plans concernCIRM's fledgling $500 million biotech loan program and participaton in funding of clinical trials, which can cost hundreds of millions of dollars. The agenda for the CIRM board meeting, which begins Wednesday afternoon, contained only 46 words this morning on the proposals.